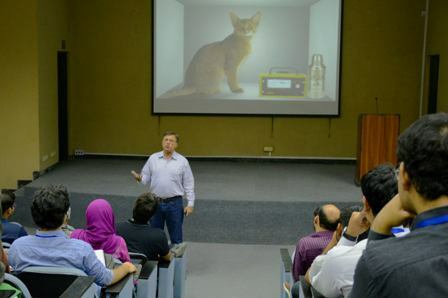 Benade Physics Society organised a talk on Can Schrodinger’s cat tell us about space and time on 09 November 2016. 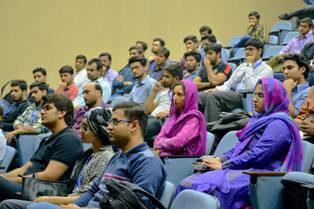 This lecture was delivered by Zohra and ZZ Ahmed Foundation Distinguished Professor Mathematics and Physics, Dr Pervez Hoodbhoy. 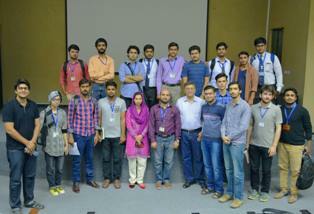 A large numbers of faculty and students from both college and university attended this talk. 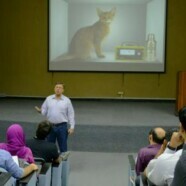 The purpose of this lecture was to give a brief understanding about newly proposed theory by Leonald susskind in which he tried to equilat general relativity and quantum physics.